The Zika virus is "scarier than we initially thought." So screamed a recent USA Today headline in a quote attributed to the Centers for Disease Control and Prevention (CDC). "Public health officials used their strongest language to date in warning about a Zika outbreak in the United States, as the Obama administration lobbied Congress for $1.9 billion to combat the mosquito-borne virus," the publication reported. And now interest is spiking in the two-hour UC Davis "Zika Public Awareness Symposium," set Thursday, May 26 from 6:30 to 8:30 p.m. in Room 1001 of Giedt Hall and organized by coordinator Walter Leal, a chemical ecologist and professor in the UC Davis Department of Molecular and Cellular Biology, and 18 biochemistry students. It's free and open to the public: to reserve space, RSVP to ucdstudentsagainstzikav@gmail.com. 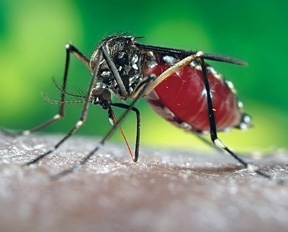 The scientific-based symposium will include "expert panels and speakers throughout the United States and the world, including those working on the front lines of the Zika epidemic," Leal said. Two Brazilian scientists who deal with patients and mosquito vectors at the epicenter of the Zika epidemic will speak (remote). Speakers also will include a scientist involved in the first documented case of sexual transmission of an insect-borne disease; specialists in dermatology, obstetrics and gynecology; and medical entomologists. Chief of the Division of Infectious Diseases and director of Hospital Epidemiology and Infection Control, UC Davis Medical School. At the symposium, attendees will "learn the symptoms and learn the facts and science about Zika and how you can protect yourself from this disease," said Leal, who collaborates with researchers in his native Brazil. He recently participated in the international Zika research symposium there. 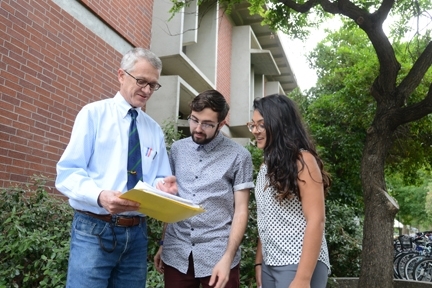 "It is very important that students and the public-at-large learn how to prevent a possible Zika epidemic as this is the first virus known to be transmitted both sexually and by mosquitoes," Leal said. "We thought that we did not have the vector (the yellow mosquito), but now our research in collaboration with Brazilian scientists indicates that our local mosquitoes (Culex) are also competent vectors. And more and more we hear cases of travelers returning home infect with Zika virus. 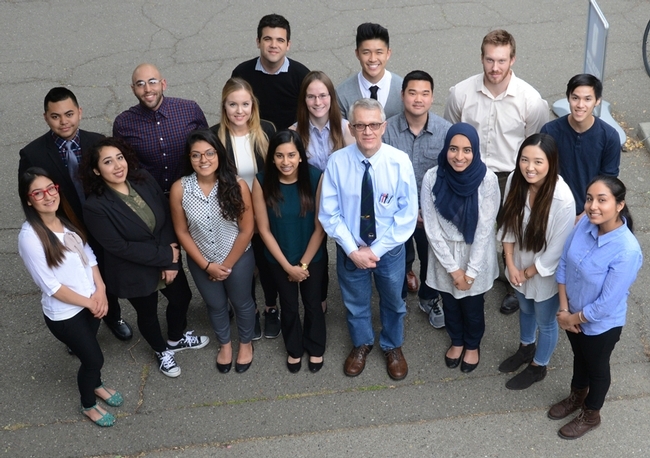 I am so glad that a group of 18 students who took my biochemistry class last quarter decided to launch this initiative to educate their peers and citizens of Davis about this dangerous virus." "This symposium is important to host because Zika is a rapidly spreading across the globe so people need to be informed," said Amarita Singh, one of the 18 students organizing the symposium. "Recent studies have shown that this particular virus not only affects pregnant women, but is a threat to all. Since there is no vaccine or medication, it is better to educate now to help prevention." "I became more aware of the disease when Professor Leal began to discuss it in our biochemistry class, which is what originally sparked my interest," Singh said. "After learning about how dangerous the disease was and the discovery of the first case in Yolo County, I decided to take the opportunity in organizing the symposium." Singh added: "It is incredible how much research has been done on Zika virus in the short amount of time. I am hopeful that in the near future that a vaccine will be developed, but until then we should do everything in our power to prevent this horrible virus from spreading. My concerns are that people may not be well informed which allows the virus to spread even more rapidly." Said James Warwick, also one of the student organizers: "I think one of the scariest things about Zika in the United States is the lack of public knowledge about it. The scientific community needs to research the virus and develop a vaccine, but can't without funding. And without public pressure, securing funding is going to be slow. Also, the sheer suddenness in which Zika has burst onto the global scene has left both scientific research and public knowledge behind. That is why we are hosting the symposium, to bring the public up to speed, update them on the current research, and to give them the knowledge they need to protect themselves against transmission. As a byproduct, public awareness will increase public pressure to get the world on the right track to stop the spread of Zika." "The virus itself is extremely alarming," Warwick said. "It can cause extreme neurological and immunological defects, as we see in babies born to infected mothers. But the direct hosts' symptoms usually consist only of temporary pain, rashes, fever, and the like; and only one in four or so people infected with Zika become symptomatic. So there is a very real possibility that a person could be infected, not be aware of it, and potentially pass on the undetected infection to sexual partners or their children. This is made all the more plausible by the fact that many people have never heard of Zika." Should we worry about the Zika virus? Yes, Leal says, for several reasons: "Zika is likely to become an epidemic in the United States; the virus is transmitted sexually and by infected mosquitoes; and, more importantly, Zika infection in pregnancy causes severe fetal brain development, and other medical problems." Butterfly Summit: Are Butterflies in an Apocalypse?